A cone-shaped grinding bit after drilling holes in PVC pipe. 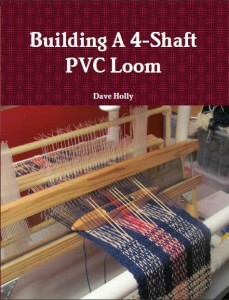 The PVC Loom book contains a lot of details and recommendations for how to build the loom. I’ve seen several plans for sale on eBay, but they are little more than diagrams with dimensions. I have included a lot of suggestions that not only make construction easier, some of them also help keep costs down. For example, the Action Board is attached to the PVC frame using 2 large 3/4″ dowels. I found that 3/4″ drill bits are VERY expensive starting at about $15.00. I thought that was a bit much for something you would only use to drill 4 holes. So, I found another solution. In the same section of the hardware store, I found a cone-shaped grinding bit. They are used to sharpen other tools and to remove masonry and perform other “grinding” tasks. I bought a 3/4″ cone-shaped grinding bit for about $5.00. After drilling a pilot hole with a smaller drill bit, the cone-shaped grinding bit drilled out the hole to a full 3/4″ size. I was amazed at how well this worked. Here is a photo of me drilling one of the holes. 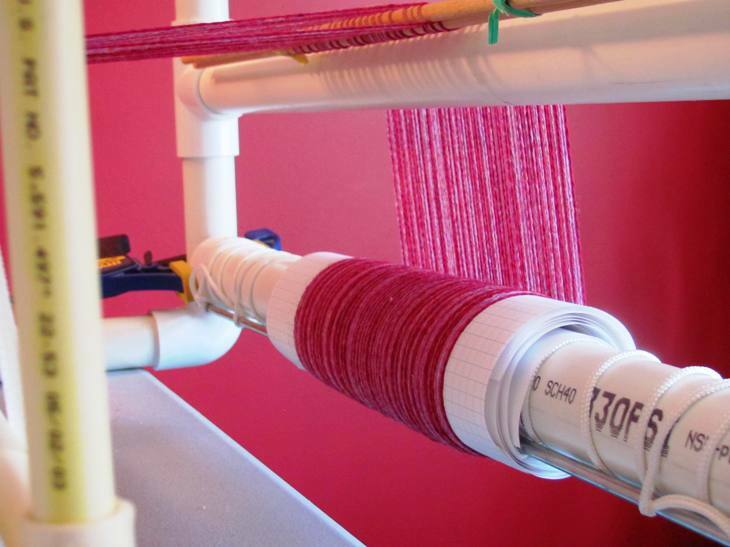 You can also see in the photo that the PVC Loom Frame is being used as it’s own workbench. The frame tubes were dry-fitted together to make drilling the holes much easier. This is just one of over 210 photos and diagrams to be found in the book. The book is now on sale at Lulu.com! Click the book above for more information. Or, click the button below to buy it now. Started talking with Amazon about publishing! I’m hoping to release this before the end of the year. But first! I had to finish photographing everything. I had a bunch of tool photos I found at hardware websites. But, after a previous lawsuit threat over a cheeseburger photo, of all things, I vowed to take all photographs myself. (The photo is not there any longer, but my other website is www.KetchHot.com.) There are companies out there that just search the Internet for copyrighted photographs and then threaten lawsuits to collect money. They claimed damages of over $13,000.00 for a partial burger photo. We settled for about $750. With my lawyer fees it was over $1,000.00. And, it wasn’t my fault! My web designer had copied the photo from “somewhere”. My lawyer said I was totally innocent. BUT – to prove it would cost about $3,000.00 to $5,000.00 in court! So, it was cheaper to settle. We now have a PHPBB3 Forum! 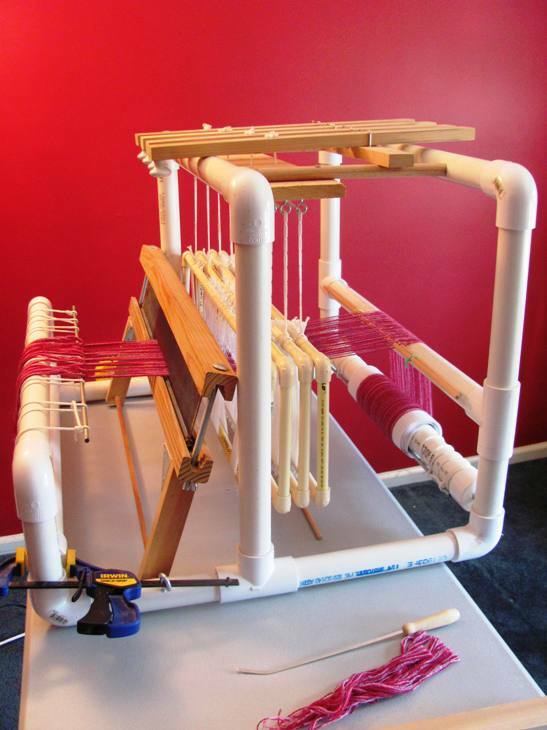 This will be a place for us to discuss PVC Loom construction and post photos of your completed looms and projects. Posted in General	| Comments Off on We now have a PHPBB3 Forum! Lots of little “stuff” to do before the book is published. I just got the ISBN number and bar code. But, I have to wait a week before I get the Library of Congress number. I’ve been thinking of using the “Print on demand” service at Amazon, but I don’t know if they can print this book right. 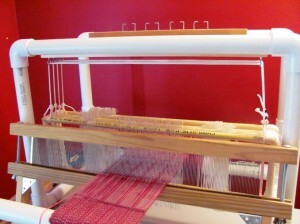 I want the book to lay flat so it is easy to reference while you build the loom. That means a special kind of binding. I recently bought a couple of weaving pattern books that have a wire loop binding that allows the pages to lay flat. But, it is a real pain to browse through the book because the pages never line up at the edges. I have to individually lift each page with a thumb nail. Another annoyance is that the wire loop bindings “SQUEAK” as you turn the pages. So, if anyone has a good recommendation for a book printing format, please let me know. Well, the first draft anyway. But, it is now complete and ready for review! I just brought her home from her first Vet appointment. 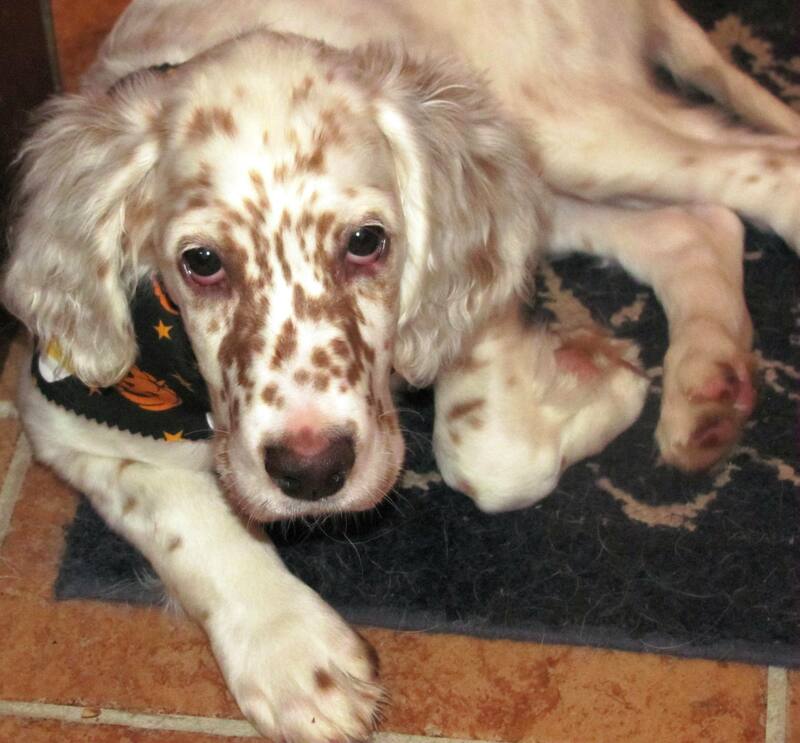 The girls there are wonderful and gave her a Halloween scarf with pumpkins on it. It’s very cute. My wife thinks she looks a little like a Giraffe. Well, I may be a little off schedule. We got torrential downpours here in South East Pennsylvania last night. Our basement now has 2 inches of water everywhere. 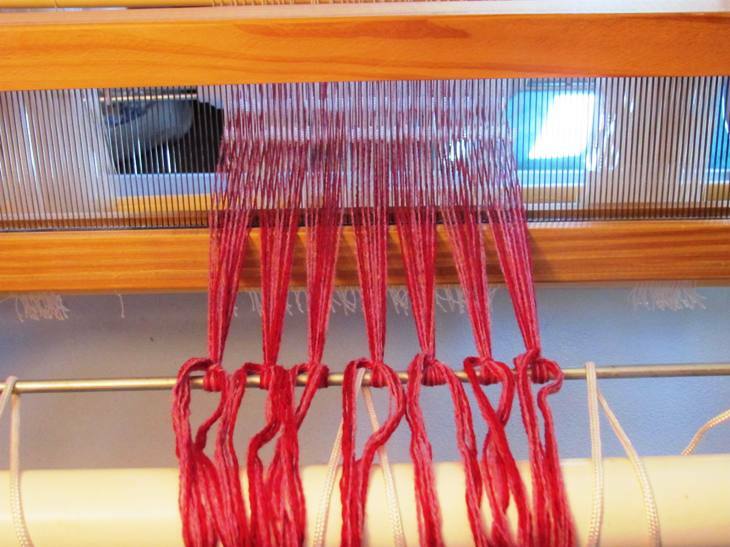 And, my little super-expensive 8-shaft wooden table loom was on the basement floor. It is now dripping dry on top of some boxes. I also have a floor loom standing in the water, but I don’t think I can do much about that right now. I thought this was an excellent opportunity to say that using PVC pipe for a loom has many benefits. 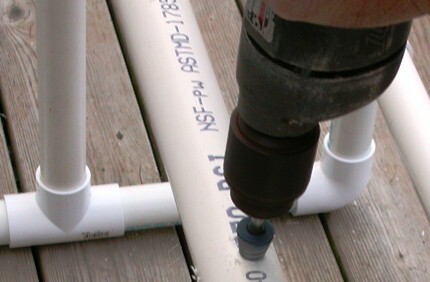 PVC pipe is waterproof and does not warp. It’s funny, but my first PVC Loom prototype was in the basement, but sitting on top of some boxes. So, it didn’t even have a chance to get wet. 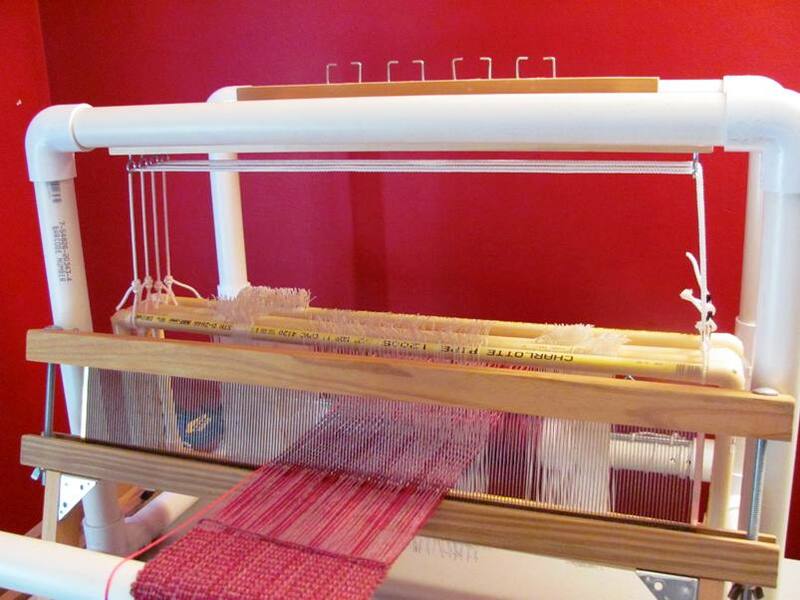 I don’t know if there will be any lasting damage to my wooden, 8-shaft table loom, but I will probably loose the warp that was on it.